Yes, precious; we wants one more achievement. 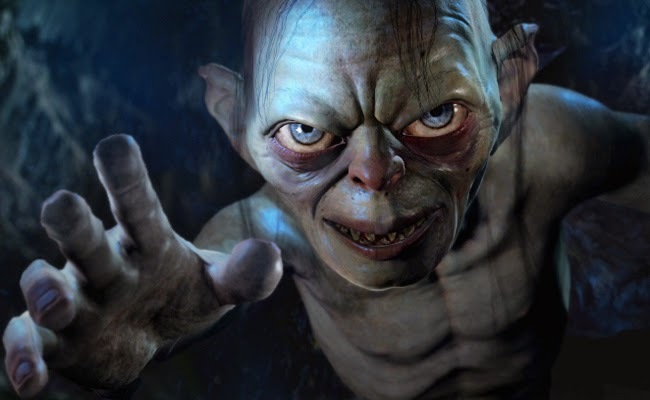 This week on PopMatters I talk about Middle Earth: Shadow of Mordor. Or as I like to call it: my precious. Shadow of Mordor wound up on a lot of folks' best of 2014 list and I definitely see the reasons. It takes the best parts of the recent Batman games and the Assassin's creed series and further refines their already smooth action. Simply moving through the world or fighting a group of orcs is simple, elegant, and satisfying. Underneath it all is the Nemesis system, a relationship simulator that I'm sure we'll see in more games very soon. Orc captains have their own attributes, rivalries, and memories of your past encounters. Depending on how much you invest in getting to know these captains, they can actually become familiar enough to be long term foes. It’s a great system, but I don’t think I truly experienced its intended results. There were definitely a handful of emergent moments where random captains joined the fray, but for the most part the nemesis system functioned as a never-ending supply of targets to kill and enslave. Without really thinking about it, the game became a supremely fun warlord simulator. I could kill or enslave anyone I wanted and would be rewarded with more power which the led to more pleasurable ways of dominating orcs. What I was left with was a extremely fun game that may actually be the antithesis of its source material. Instead of a story about the ways lusting for power corrupts and weakens you, it rewards you for being unthinkingly bloodthirsty. Slipping into that mindset is easy and by the time you realize that you’ve become addicted to the power treadmill, it’s too late to stop.